A grace-filled community for men that reflects our relationship with Jesus, is grounded in God’s grace, and leads to a life of authenticity, vulnerability, and transforming growth through dependence on God and interdependence on one another. 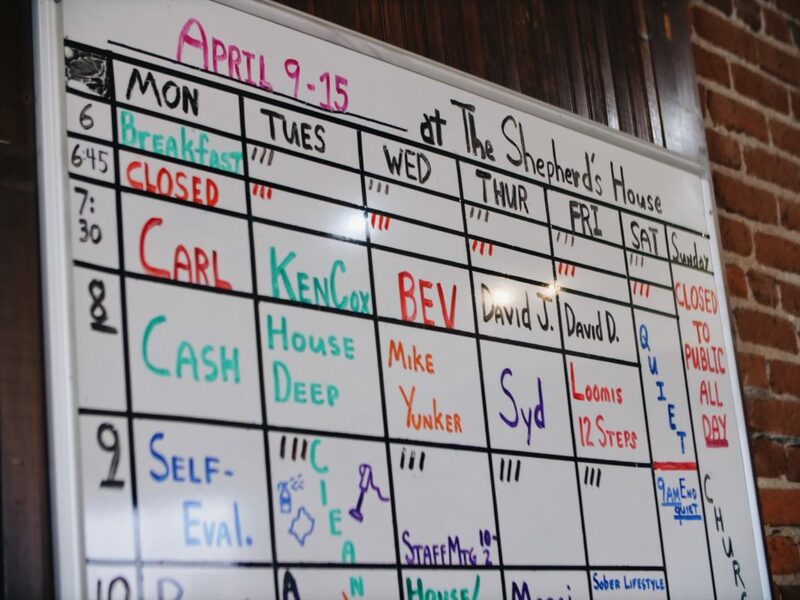 Shepherd’s House Ministries may be most known for the emergency services that are provided to those in need – offering three meals a day, showers, and shelter from the cold. 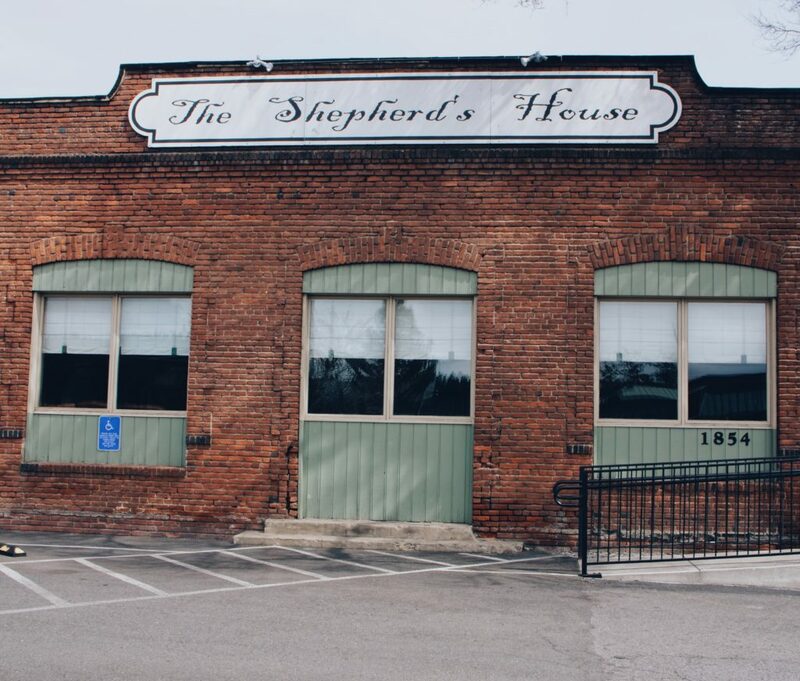 Although these are critical needs in our community, Shepherd’s House Ministries offers much more. The Men’s Center is located in the shelter on Division, providing a place to live for up to 30 men. After going through an application process, men join a six phase program that is centered on grace and connection, with the ultimate goal of finding deep healing and freedom from pain and addiction. We offer both internal and external resources – utilizing the talent of our staff and volunteers, along with our community’s resources. Men take part in daily classes, mentorship programs, therapy, personal hobbies, and giving back to others. Each day is scheduled with intention, providing a structure that allows for residents to slow down and process everything they are learning. Each morning residents participate in Self-Evaluations, a time for individuals to evaluate and share what they have learned from recent decisions or experiences. In a safe and intimate setting, the men have open conversation about the things they are struggling with, celebrate their successes, and encourage each other. Each resident is paired with a mentor – which is a fancier name for friend. Mentors take time to really connect with then men in our program – and that looks different depending on the individual. Sometimes its going out for coffee or to a movie. Sometimes is sports or fishing. These friendships provide a connection in the community that helps our residents feel normal and valued. These relationships – with mentors, staff, volunteers, and with each other – are what make what we call Life Change possible. The deep and meaningful connections, the never-ending grace, and the unconditional love is what fosters real healing. We have experienced first hand that Grace Changes Everything and we believe that it is our place to love those who are hurting rather than push them away. We are not a “Three Strikes and You’re Out” program. We are a community based on grace – and because of that we see amazing transformations and build a family that is continually growing.